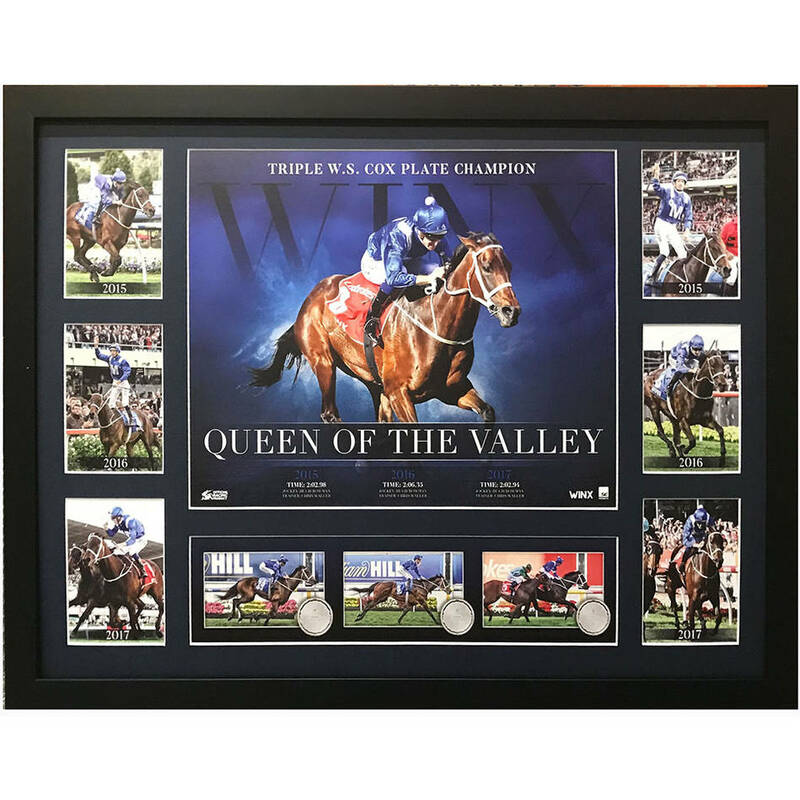 ‘Queen of the Valley’, celebrating Winx becoming the first mare to win three Cox Plates in the near-century history of the race. Commemorates Winx’s third Cox Plate victory, the only mare in history to achieve the feat. Officially licensed and endorsed by Racing Victoria and the owners of Winx.